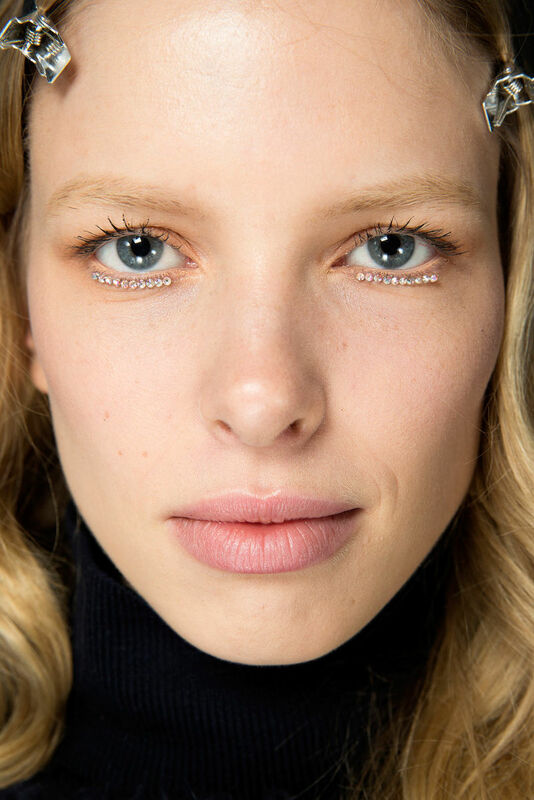 The Rodarte Glitter Eyeliner is changing the extremities of the runway makeup game. At the Rodarte RTW AW15 show at New York Fashion Week, models sported bronzed eyelids, peach lips and rhinestone eyeliner. The thin row of gems were applied to the bottom waterline of the eye. 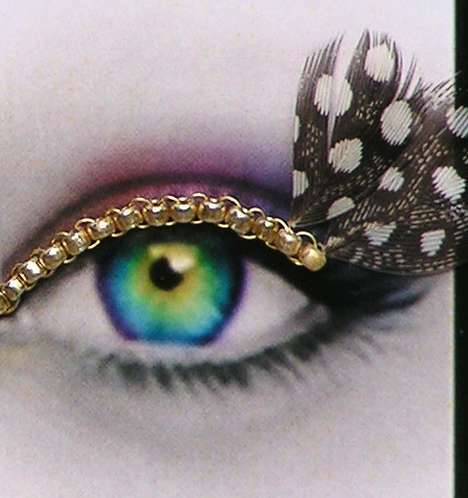 When the models close their eyes, the rhinestones shine brightly through their eyelashes. Rodarte is known for their groundbreaking beauty experiments, creating rows of pierced eyebrows at their RTW SS15 show. The Rodarte Glitter Eyeliner is a new way to approach glitter eyeliner and highlighting the eyes using different makeup techniques. When it comes to beauty, the Rodarte sisters know how to raise the bar for their shows to come. Would You Pony Up for This Shabby-Chic Rodarte Dress?